This tall artistic design will make a statement! 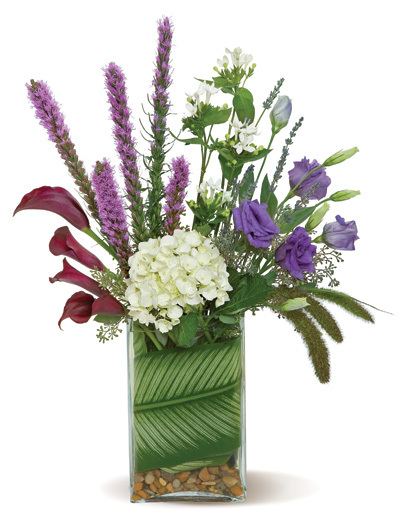 Hydrangea, lisianthus, calla lilies and purple liatrus all combine to present their beauty in a more contemporary design. This mixed flower arrangement makes a great choice for the non-traditionalist in your life. Choose Four Seasons Flowers as your local florist in San Diego, CA!